The credit for this “recipe” goes to @snbLeslie who brought a version of it as a dip to one of our knitting weekends. 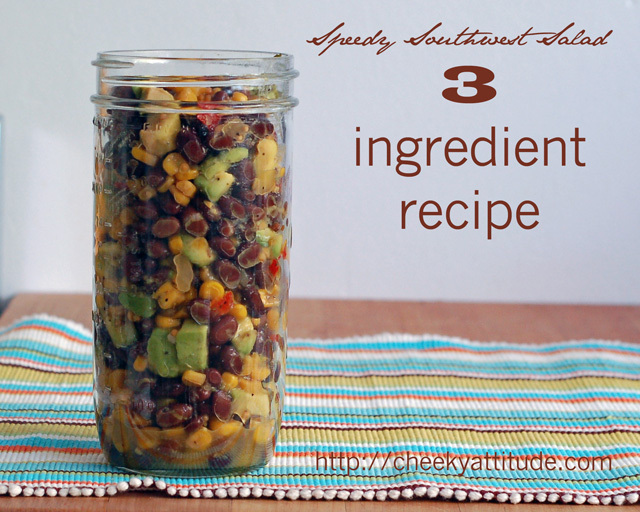 The hero of the 3 ingredients is the TJs Corn and Chile salsa which adds the spice and lovely southwestern flavor. 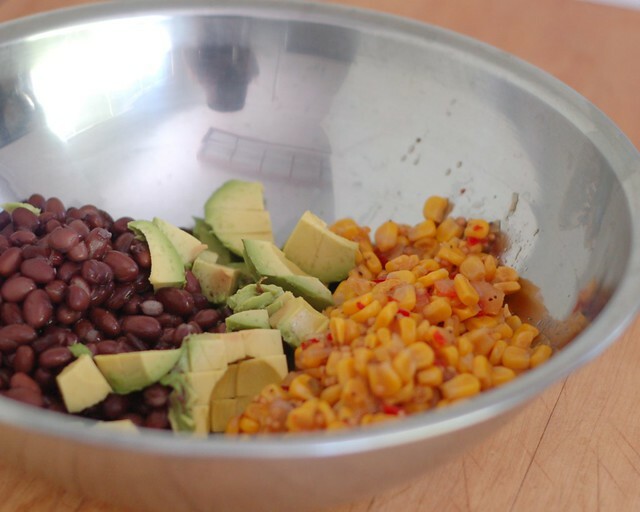 If you keep a can of black beans on hand and this salsa you can squee a little bit like I did when I got avocados in my CSA. 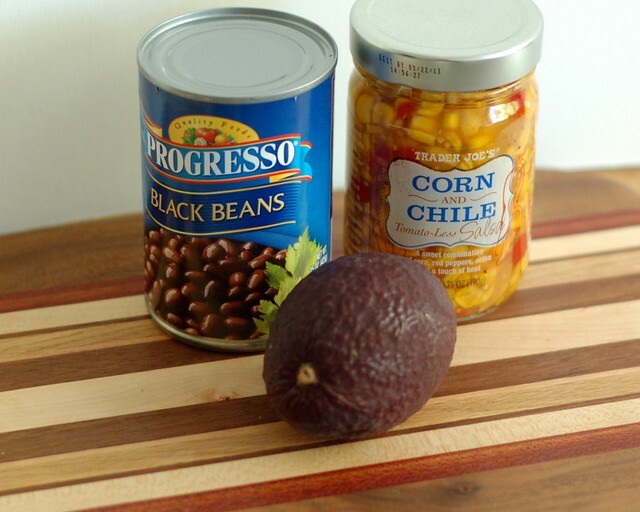 After cubing the avocado, rinse and drain a can of black beans, and add the salsa. And you’re done. Serve it in a bowl as a dip with tortilla chips. 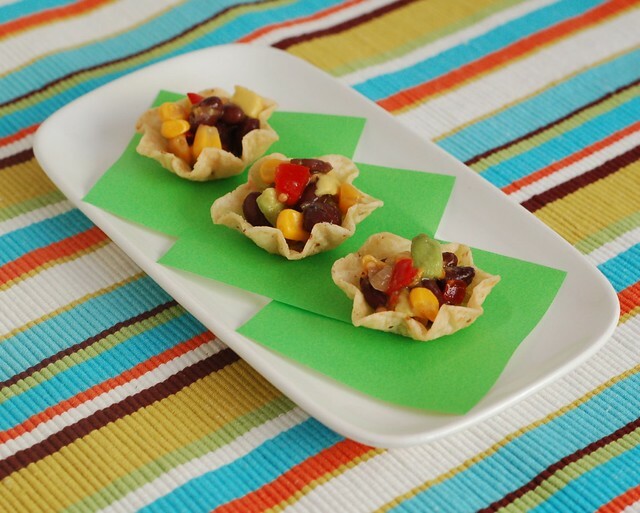 Or schmancy it up a bit and assemble a plate to pass it in little tortilla “cups”. 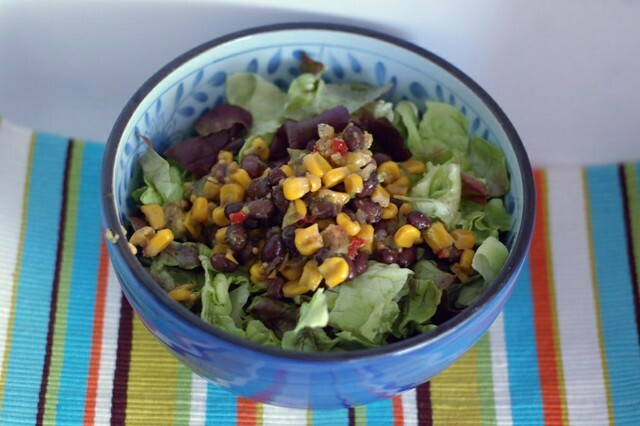 I kept the mix in the fridge during the week and just tossed it with a bowl of greens for a quick “Big Salad” meal. 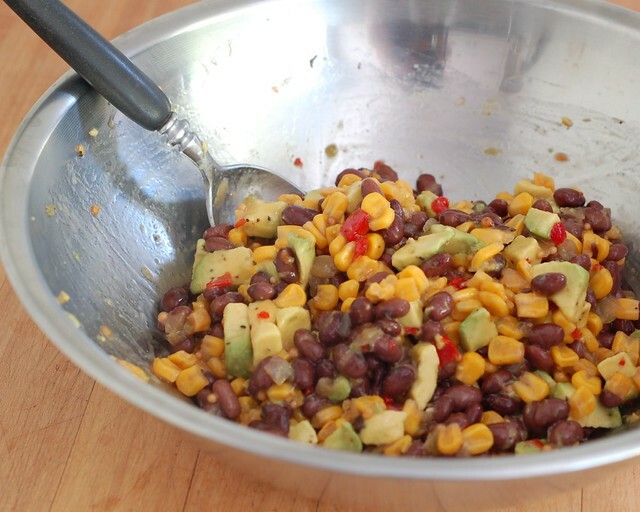 As a vegan dish you can’t go wrong bringing it along on a picnic or to a pot luck. 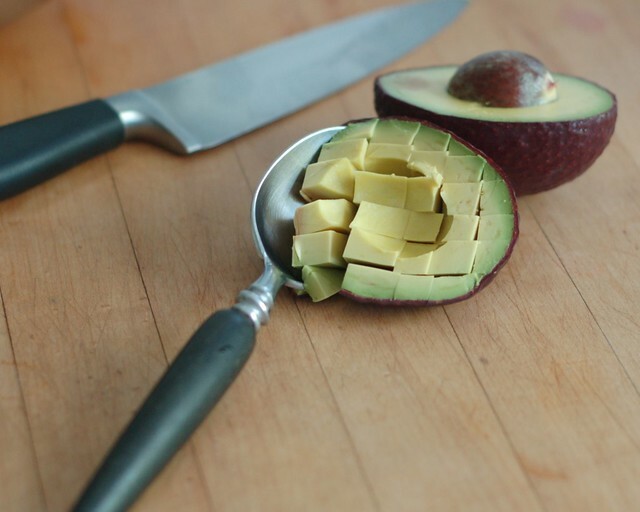 i had to look twice at the way you cut the cado. that is very cool!